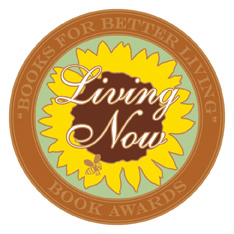 Congratulations to the winners of the Living Now Book Awards! We celebrate these awards on the 40th anniversary of Earth Day as a reminder of the importance of protecting our planet Earth, and of the progress we’ve made toward a more thoughtful, “green” approach to living. The gold, silver and bronze medalists in this year’s Living Now Book Awards offer a list of books that inform readers about enriching their lives in wholesome, Earth-friendly ways. The Living Now Book Awards celebrate the innovation and creativity of newly published books in lifestyle categories from cooking and fitness to parenting and spirituality. In all, 103 medals were awarded in 30 categories, chosen from 428 total entries. The awards are presented by Jenkins Group of Traverse City, Michigan. Jenkins Group has been involved in book packaging, marketing and distribution since 1988, and is dedicated to promoting books that improve readers’ lives, bring families together, and make the world a safer, healthier place.